Just finished up a job on a 23 Bluewater. 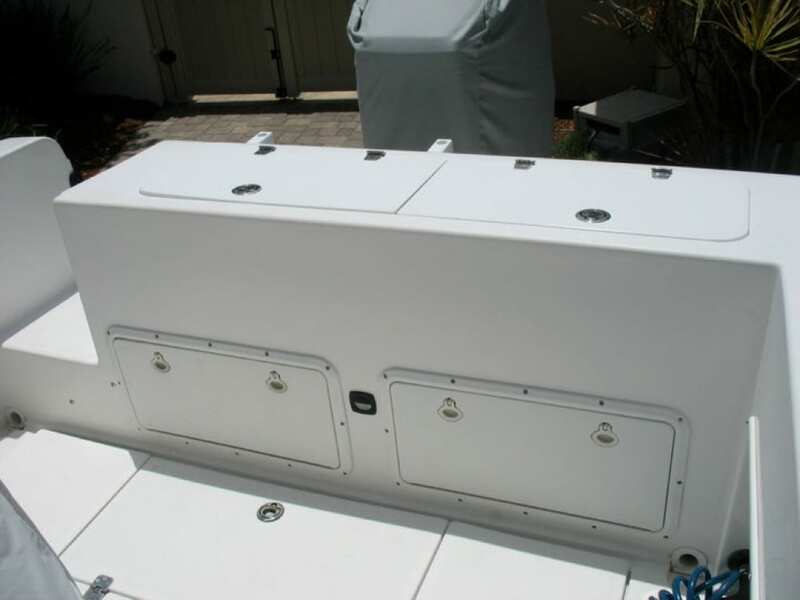 Bluewater Boats builds a very nice offshore center console boat and the owner decided to call me up to add a helm pad and coaming bolsters to the boat. Most of the Bluewater Boats are what they call a two piece boat. 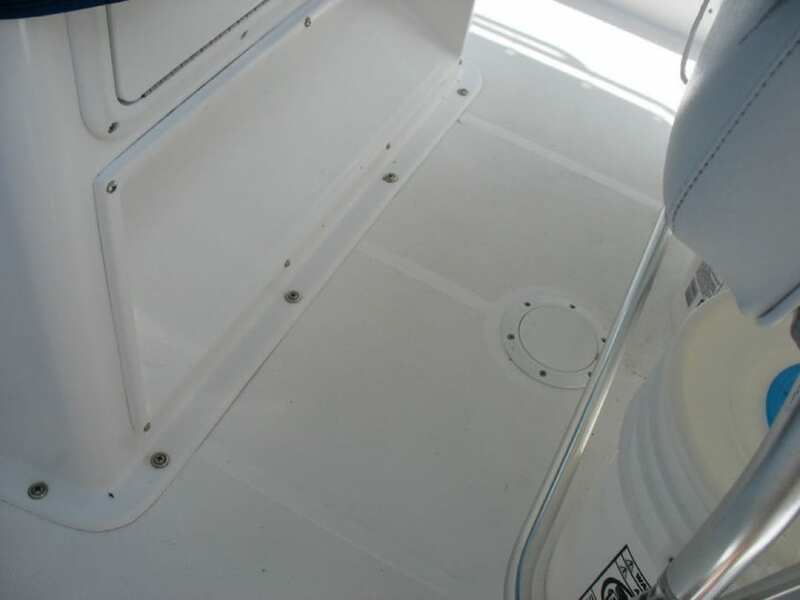 The only downside with a two piece boat is that you don’t have a toe kick area which means if you are leaning against the gunnel your toes are hitting the liner of the boat. 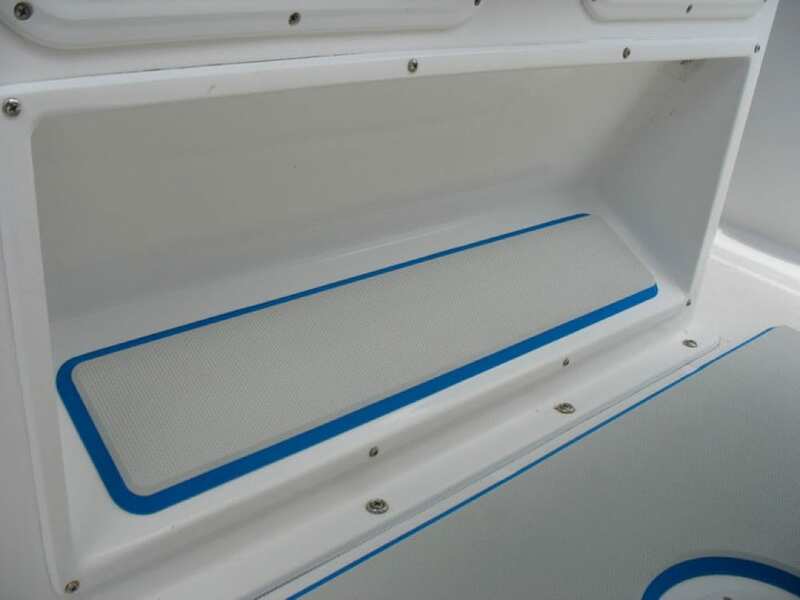 On any offshore fishing boat, especially a two piece boat, having bolster pads is a must. It makes fighting a fish much more comfortable. 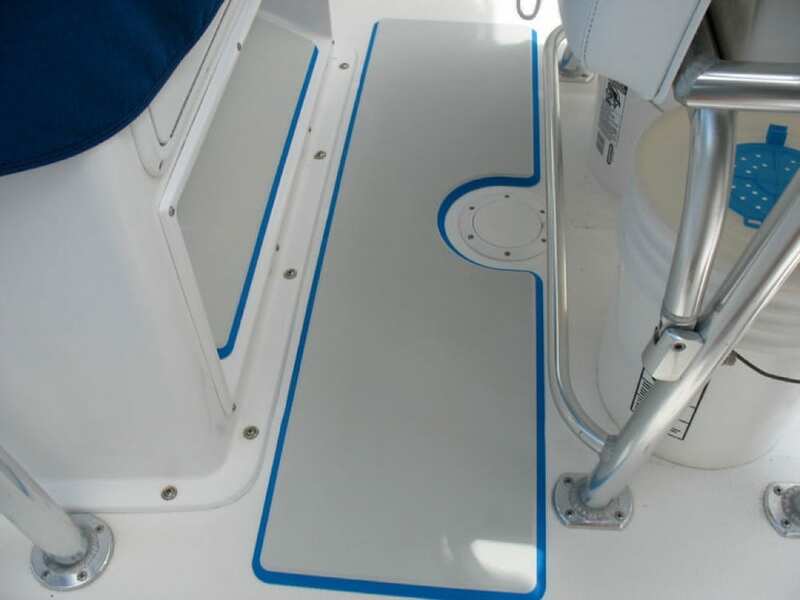 Another must have on an offshore boat is a helm pad. Castaway Customs does many custom helm pads and the nice thing is to order one most of the time all that is required are some simple dimensions. We decided to go with 15mm pad which is cool gray over bright blue. 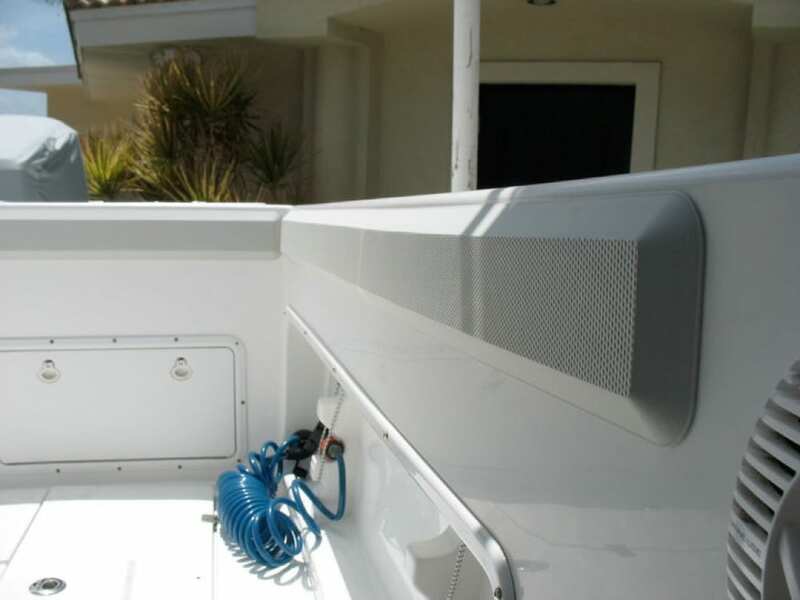 The bright blue color accented nicely with the canvas and boot stripe color on the boat. 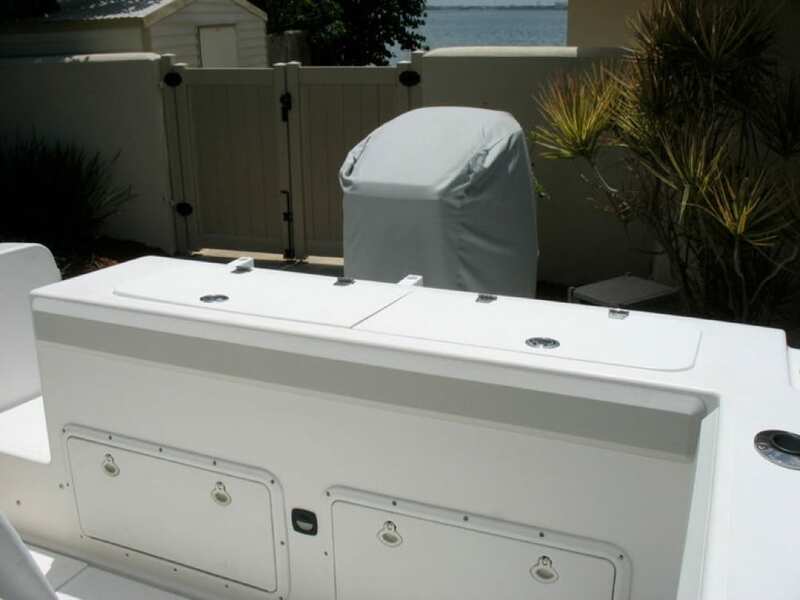 Now the customer can ride and also fish comfortably. If you are looking to add a custom helm pad or coaming bolsters to your boat you can contact me at info@castawaycustoms.com. 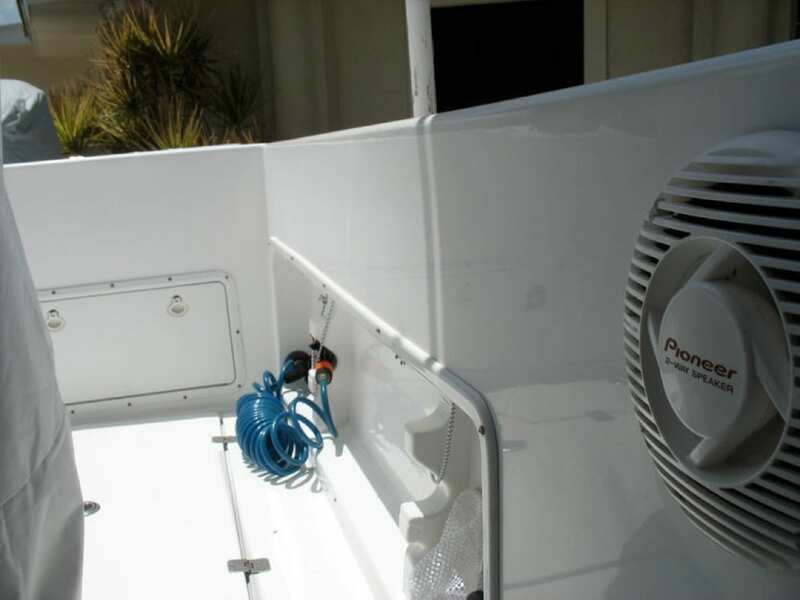 We have a variety of colors to choose from and can also add the name of your boat or a fish logo to the pad.